The Automatic IIUM Schedule Formatter/Semi-Automatic IIUM Schedule Maker is probably the most used application that I’ve ever made. That is impressive or disappointing depending on how you look at it. For some reason (probably because there is a problem to be fixed and hence, a demand) quite a lot of people use it. However, because I’m no longer studying in IIUM, I’m no longer one of the people who use it. And because of that, there is effectively no reason for me to support it anymore. Therefore, I’m declaring it life as effectively ending. I make no guarantee that it will stay online. Here, we see a very ‘seasonal’ usage pattern. For your information, the application itself did not earn me any money. It does, get me some nice portfolio. Quite a lot of people asked me “Why don’t you sell it to IIUM?”or “Why don’t you put ads on it?”. Well, the short answer is, “That sounds complicated, I’m too lazy for that.”. The long answer is, I don’t want it to ‘matters’ too much and I don’t want to get some ‘feature request’ from some guy, and I don’t want to get into trouble if someone found a bug. It is really, a ‘pet’ project, and I prefer to keep it that way. Plus, asking money from IIUM for something that should do in the first place does not sounds like a very good idea. I sense a lot of bureaucratic issues on that path. Because it is running on my private server which also host other applications, like this blog, it does not really have a hosting cost. I kinda ‘piggyback’ it on other application. Plus, it DOES automatically scrape data from IIUM server every Sunday (But it turns out, sometimes IIUM change it last minute… after Sunday). Therefore, I don’t really need to do anything for it to function normally. However, every year, I do need to set which year is available, which involve editing about… 2-4 line of code. As I’m too lazy to put any further significant improvement, I’ve open-sourced it several years ago. It seems that not many people know that you can get the source code and see how it works. 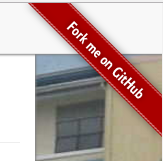 Probably because I did not put a “Fork me on Github” banner before, which I just did yesterday. I hope that some other geeks can learn from its source code, and create their own version, or better yet, create a totally new one, as the code is quite ugly. The code originated nearly 5 years ago when I was still in CFS. Back then, the popular ‘schedule maker’ part did not exist, only the ‘schedule formatter’ which works on CFS’s slip exist. It was originally designed to run on Google App Engine as I don’t have money for my own server back then. Because of that, the code is pretty much some hacks over some other hacks. Therefore, I recommend that those who want to make a similar system to build one from ground up. You can also, just host it yourself. In fact, when the new I-Maalum system was announced, I was expecting them to also integrate a similar solution, or even just straight up copy-paste it. That did not happen. So when will it go down? Who knows. The thing is, removing it from the server also take some work, and I’m too lazy for that. I’ll probably just leave it there. If my server crash, I may forget to start the application manually (which happened a few month ago). Once it is up, It does not really need much maintenance, so it will probably stay up for some time. However, for the 2017/2018 session, I’ll need to add that to the server’s config and I can’t guarantee that. Chances are, I’ll forget about it. In fact, I did forget about the 2016/2017 session until someone mentioned it to me. That is assuming no major changes in the IIUM system. If IIUM decided to change the format of their course list page, the scraper will not longer work and it will no longer give you updated course list. In conclusion, tell your geek friend to make a similar system. I’m graduating, I don’t even know when is the prereg, start of semester and such. I thank you all for your kind support and encouragement throughout these years, I appreciate it. It is truly a satisfying feeling to know that your work helps a lot of people, even if it does not get you money, and the code is very ugly. Also, if you need to contact me, email me directly at asdacap@gmail.com. Please do not PM me through facebook, as facebook have the ‘message request’ filter. Sorry, if I did not reply to your facebook message if you messaged me a few month ago because I did not realize it, and replying now would be very awkward. That is all from me. Goodbye and Assalamualaikum. ps: Try reading this article again, but everytime you find the word ‘lazy’, change it to ‘busy’. Its interesting how changing the meaning of a single word can change a lot of perspective. Also its not far from the truth too. This entry was posted in Projects and tagged IIUM Schedule Formatter. Bookmark the permalink. Even it is merely a ‘pet’ project, I think it is amazing. Seriously brother, you are the most favourite person, haha. You amaze me, brother. I am still studying so when I find out that the schedule is not working anymore, it is kind of sad. I am a lazy person, so I have been always used your schedulemaker. But it is okay, I do not mind. I really want to thank for your schedulemaker. It really helps me. Thank you so much brother. May Allah bless you, always..may Allah ease everything for you, always..